Slight up hill par 3 that plays longer than it looks. You won't be able to see the green or the three bunkers that surround it. 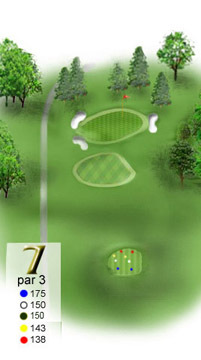 There are trees on each side of the fairway but they shouldn't come into play. If you miss the green, the rough to the sides and the back can make it difficult to make par.